Blockchain is a data structure used to create a digital ledger shared among a distributed network of computers. It was initially designed for the peer-to-peer exchange of the virtual currency bitcoin. However, businesses are now developing and testing some potentially game-changing blockchain applications. 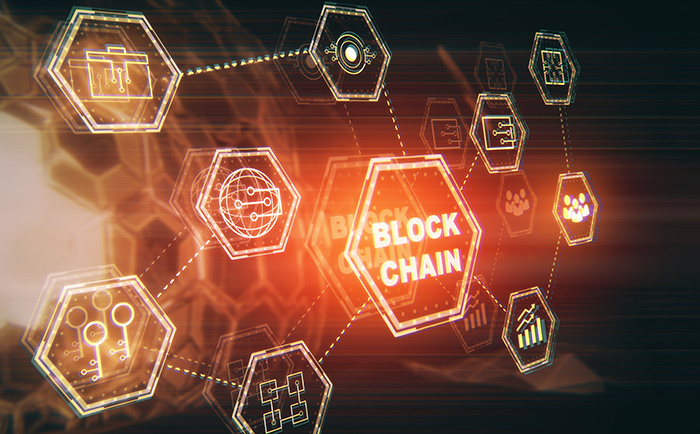 Here’s an introduction to blockchain and a glimpse into how this emerging technology might impact the future of businesses around the world. Blockchain provides all network participants with simultaneous access to a single body of strongly encrypted data. Each individual (or node) can enter new data, but a majority of nodes on the network must verify the addition before it becomes part of the permanent record. Each transaction is time stamped and linked to the prior transaction, forming a series of blocks in a digital chain. This creates an audit trail each time data is changed, helping to ensure the integrity and authenticity of the information. Because no third-party intermediary (or central authority) is needed, transactions can be completed instantaneously and at a lower cost. A blockchain can be public (open) or private (closed). Any system or business that relies on a database could be a candidate for blockchain-based innovation. A blockchain can also be coded to execute or enforce smart contracts automatically (without an intermediary) when certain conditions are met. Here are a few examples of applications that are already in the pipeline. Some other possible uses include public real estate registries, identity verification, law-enforcement activities, digital voting platforms, and securing Internet-connected devices, among others. In the longer term, however, blockchain could be a transformative and/or disruptive force that creates a new set of winners and losers. Speedy and successful implementation may deliver a competitive advantage to some companies while punishing others that don’t keep up with the pace of change. There may also be some societal costs, such as high energy consumption from running millions of powerful computers, and the technology’s potential to displace a large number of human workers. Thus, you should be wary of a company’s claims regarding blockchain — especially if an investment offer is unsolicited and Internet-based — and never wire money to pay for such an offer. The LPL Financial Registered Representatives associated with this site may only discuss and/or transact securities business with the residents of the following states: AZ, CA, CT, FL, GA, KS, NV, PA, SC, TX, WA.